Large Environmental Nonprofits Seek to Embrace Equity—Is the Needle Moving Yet? As NPQ has covered in partnership with BoardSource, whether it is nonprofit executives or nonprofit boards, leadership in the nonprofit sector remains largely white. According to BoardSource’s 2017 Leading with Intent report, 90 percent of board chairs and nonprofit executives are white. Board membership as a whole is a slightly better 84 percent. By contrast, nearly 39 percent of the US population are people of color. Perversely, even as we are actively talking about and studying this issue in the sector, the proportion of nonprofits who have all-white boards have risen both in the US and the UK. Conforming to this, as Virginia Gewin writes in GreenBiz, the environmental sector is headed in the same direction but from a far worse place. A 2014 study authored by Dorceta Taylor of the University of Michigan, for instance, found that the percentage of people of color on boards of surveyed was 4.6 percent; in sum, 1,607 of 1,684 surveyed board members were white. There’s more: according to Taylor only 12 percent of staff—not leadership, but staff—were people of color. The 2014 figure was actually lower than the 14.7 percent Taylor found when she studied the field in 2008. Gewin does acknowledge some isolated developments. For example, “Asian American Rhea Suh became president of the Natural Resources Defense Council in 2014.” Gewin adds that in 2014, “the Environmental Defense Fund created a 64-page diversity strategy. Another “Big Green” organization that has promoted equity, diversity and inclusion is Audubon, which developed its own diversity statement in 2015 and hired environmental justice lawyer Deeohn Ferris as vice president for equity, diversity, and inclusion last year. Mustafa Ali agrees. Ali, who spent 24 years at the US Environmental Project Agency and who once chaired the Interagency Working Group on Environmental Justice (EJIWG), now works as senior vice president of climate, environmental justice and community revitalization with the Hip Hop Caucus. A common error is to focus on the “number of people of color hired, instead of investigating why the numbers are so low and addressing the root causes,” notes Charles “Chas” Lopez. Lopez serves as vice president for diversity and inclusion at Earthjustice, an environmental law nonprofit based in San Francisco. Another challenge is access to jobs. To help people of color break in, Taylor organized a New Horizons in Conservation Conference in Washington, DC in April. “Over 220 participants—mostly students of color—attended,” Taylor says. In September, the sixth annual HBCU Climate Conference will take place in New Orleans and expects 400 attendees. 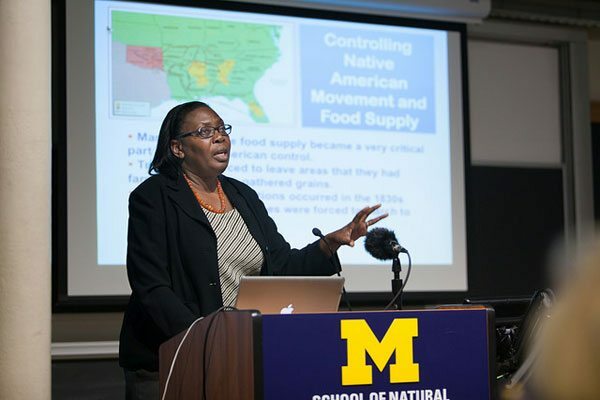 According to conference organizer Dr. Beverly Wright, a professor at Dillard University, over 30 percent of past attendees have pursued environmental-sector careers.